Web application and software automated testing tool - WebWalker | AARON GROUP s.r.o. WebWalker is a tool for the automated testing of web applications which simulates the user’s behaviour. The automation of functionality testing significantly reduces the cost of testing and ensures the required quality and reliability of your application. 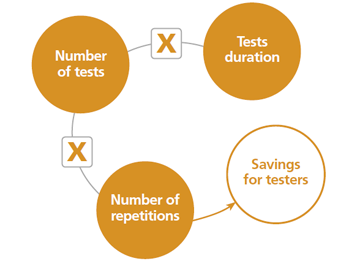 Automated tests continuously improve the systems of many of our customers. The simple, flexible and repeatable method of implementation of automated tests allows you to use your skilled workers effectively. WebWalker is able to run automated tests of any Web application regularly and fully. Loading of the full page with products, time needed to view the product details, etc. The structure of the price at different steps of the reservation process, the transition time between each step, the speed of loading of pages, etc. Number of login failures, the reason for the failures, etc. 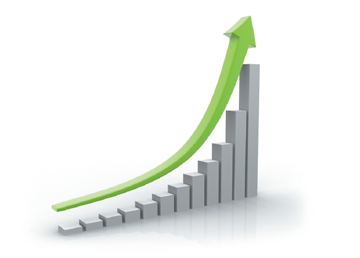 Number of successful profile activations, profile changes, etc. New versions and patches of applications which are under continuous development. WebWalker reduces the costs expended for individual testers and significantly increases the testing speed. By simulating a user’s behaviour you can easily verify if the data displayed at different places in the program are correct. The ability to evaluate the correlation between the data displayed in various locations in the system allows you to prevent business losses. Repeated monitoring of the availability and response time reduces the risk of application failures. Automated tests of Web applications are supported by the checking process of the Q/A manager. Repeated testing is very expensive, and even if it is done, some parts of the application may sometimes stop working. Automated test launching with subsequent evaluation and presentation of results allows your employees to work more effectively, and you have the application under better control and greater customer satisfaction and loyalty. WebWalker will not only save you from worrying about quality, but also several full time testers. WebWalker offers advanced tools for visualization of the results for decision support. All the results of automated testing can be displayed in the form of reports, charts and graphs. These reports can then be exported to commonly used formats (HTML, PDF, DOCX, XLSX or CSV). For operational monitoring and error reporting while identifying the deficiency in the application, it is possible to save a full screen image. WebWalker significantly helps simplify communication and speed of error correction during application failures.